Manufacturing for MVAJ15 and MVAJ17, 24, 28, 29, and 31 has been discontinued. As an alternative, please refer to the MVAJ055 and MVAJ105 relays. The MVAJ 11 to 34 range complements the more cost-effective range of MVAJ051 to MVAJ205 tripping relays. This range has been maintained to cater to historical users and their preference for these models. This range of tripping relays benefits from its high-speed operation and offers high and low burden alternatives. These particular models are kept to cater to historical users. Type MVAJ relays can be roughly divided into three groups. 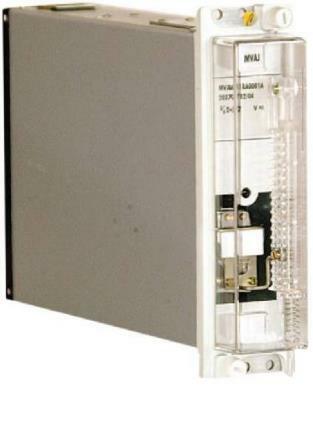 High burden tripping relays comply with ESI 48-4 Class EB2. Low burden tripping relays comply with ESI 48-4 Class EB1 and control relays meet the requirements of National Grid Company SPEC.NGTS 2.19:1996. All high burden relays are for DC operation only.